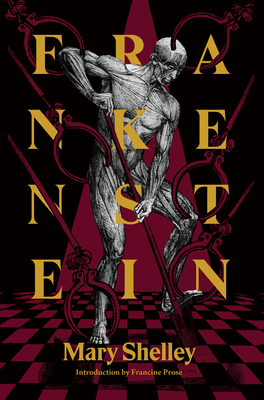 A towering masterpiece of gothic fiction, Mary Shelley’s Frankenstein: or, the Modern Prometheus birthed the horror and science-fiction genres and spawned countless cultural offspring. Amid the pervasive images of Boris Karloff’s flat-headed, bolt-necked monster, it’s easy to forget how radical, insightful—and, yes, terrifying—the book is on its own terms. The would-be Prometheus of the book’s title is the brilliant Swiss scientist Victor Frankenstein, whose studies in natural philosophy and chemistry (fields much brooded over in Shelley’s day) lead him to become obsessed with building a being out of dead body parts and bringing it to life. But when he is miraculously successful, Victor is horrified at his creation, and the monster escapes into the night. Given life and enough reason to deduce his own terrible loneliness, Frankenstein’s creation turns to violence and, soon enough, vengeance upon his creator. Frankenstein is the second book in the Restless Classics series: interactive encounters with great books and inspired teachers. Find out more at www.restlessbooks.com/classics. Mary Wollstonecraft's A Vindication of the Rights of Woman (1792) was published at the end of the 18th century, in the period of intellectual upheaval that followed in the wake of the Enlightenment. With the gradual erosion of monarchical authority (culminating with the French Revolution in 1789), and the birth of democracy, the question of the rights of men engendered lively debate — but a woman’s lot remained unconsidered. Wollstonecraft, however, was determined to change this and to add a dissenting female voice to the chorus debating political emancipation. Best known as a radical feminist, Wollstonecraft wrote about politics, history, and various aspects of philosophy in a number of different genres that included critical reviews, translations, pamphlets, and novels. With Letters Written in Sweden, Norway, and Denmark and other works, she also shaped the art of travel writing as a literary genre and, through her account of her journey through Scandinavia, she had an impact on the Romantic movement.